If you are fluent in English and are in Korea at the moment, please consider coming to our event on July 27th. The Ministry of Unification is hosting a premiere for a film about North Korean refugees and how the South Korean government helps them adjust to Korean society. Since the film has been made with an English-speaking audience in mind, we would love feedback and suggestions for improvement from you. Please join us for the showing and the discussion session afterwards! If you are interested, please send your name, nationality and passport number/alien registration number to laurenbae@unikorea.go.kr by July 26th. Small gifts and refreshments will be served. The movie showing is at 5:00pm, on Friday, July 27. It is going to be held at the Headquarters for Inter-Korean Dialogue. There will be a reception with refreshments starting at 4:30pm, so feel free to come early and mingle with us and the other guests. The showing will start promptly at 5pm, so make sure to arrive a little earlier so that you have enough time to register. Those who wish to attend must send their name, nationality, passport number/alien registration number and also car registration number if they are driving to the venue to laurenbae@unikorea.go.kr. Interviews have been conducted for the 2012 Overseas Correspondents Summer Program! Applicants will be notified of the results by Tuesday April 10th, 2012. Applications for the 2012 MOU Overseas Correspondents Program have been received and are currently in the process of being evaluated. Thank you to all of you who have sent in an application. We appreciate the interest that many of you have shown. You should expect to hear back from us within this week (April 2 – 6) if you are selected for an interview. The Ministry of Unification is pleased to announce the Overseas Student Correspondent Program which offers motivated undergraduate and graduate students the opportunity to work as student correspondents for our Ministry. This is an opportunity for students to interact and dialogue with North Korean defectors, South Korean college students, South Korean government officials, and other professionals involved in various aspects of the North Korean defectors’ resettlement process in the Republic of Korea. Students will also be given the opportunity to produce creative videos on unification and participate in the Youth Leaders for Unification Camp. Currently, we are looking for suitable candidates. Interested students are requested to submit their resume, application form, cover letter, 1 passport-sized photo, and short writing sample (1 page max) to mou.correspondents@gmail.com by Friday, March 30th, 2012. Selected applicants will be notified by email by April 3rd to schedule for a phone interview. The interviews will take place on April 4th – 6th. All applicants must state the name of the internship in the subject line of the email. OneKorea is self-run by the MOU Overseas Correspondents themselves. 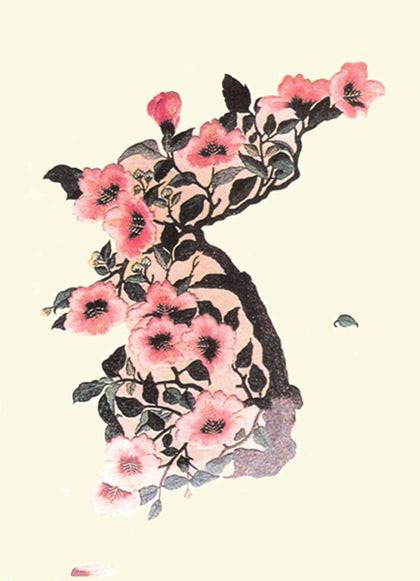 Articles on OneKorea are not meant to reflect the policies and political positions of South Korea’s Ministry of Unification. If you haven’t done so already, please take a moment to sign this online petition to stop the repatriation of North Korean refugees in China. With enough international interest, we can make a difference. There has been a lot of interest in this year’s MOU internship and many have been asking when the applications will be available. We are currently working on putting the final touches on this year’s program and the application should available in early to mid-March. Thank you for all the interest and please continue to follow our blog for more information on the upcoming internship program and application.